How to boost your earnings. The monthly rental value of your property. If your home fits our management portfolio. Find the right tenant for your property quickly. 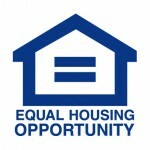 We use an aggressive assortment of marketing techniques to connect with local renters and spread the word. We screen the financial and criminal background of every applicant, keeping your home protected against unsavory tenants. We believe the right renter changes everything. Are you tired of being bombarded with maintenance requests? We process repairs via our online portal and coordinate with vendors to get the job done. Breathe easy, knowing our team is working to protect your cashflow. We handle all monthly rent collection, follow up with late renters, and disburse your earnings. Why Choose Ambassador Property Management? From homeowners to tenants, we believe providing extraordinary customer service serves as a key element in a successful property management relationship. Our team of Texas real estate pros is always happy to take your call and provide guidance on your home. Test it for yourself: simply give our offices a call! Struggling to swim through the labyrinth of housing regulations, insurance requirements, and local rental laws? Running afoul of these guidelines and standards could create serious financial problems for you. Let our team of housing experts lead the way, keeping you compliant...and protected! When it comes to your rental portfolio, don't entrust your home to just any property manager in Austin. You need a team that will work hard on your behalf and won't use hidden fees or extra costs to milk you for all your worth. At Ambassador PM, we aim to remain transparent in all that we do—we want to earn your trust. Handling the day-to-day needs of your rental is no small task. We've built relationships with some of the highest rated vendors and maintenance professionals in the Greater Austin area. We enjoy preferential rates and priority relationships with these contractors, keeping your costs low & ensuring repairs happen in a timely fashion. "Fantastic company!!!!! We never have to worry about our properties!!!!! Awesome staff and always on the ball!!! Thanks!!!" "This has been the best leasing experience to date for us. We thank Ambassador PM for always stepping up and being there for us when we needed them." 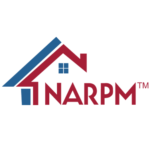 Determine the monthly rental value of your property. Learn if your home fits our management portfolio. WE KNOW THE ATX. AND WE KNOW RENTAL PROPERTIES. If you own a property rental in Austin, Texas, you know how difficult it can be to address the home's upkeep. From finding the perfect renter for the property to collecting rent each month, responding to repair requests, and enforcing the terms of the lease, managing a property can quickly become a full-time job. There are plenty of property managers who promise to make your job easier, but how do you know who can you trust to get real results for your investment? At Ambassador Property Management, we strive to provide the best service for homeowners in Greater Austin. From Pflugerville to Round Rock and Cedar Park, we know the area intimately and are ready to help you boost your property's performance. Our team will develop a customized management plan for your home, and work hand-in-hand with you to maximize your rental's potential. Are you ready to see how Ambassador's experts can help revitalize your home?